Do you know that antioxidants can help prevent heart disease and cancer, reduce blood pressure and slow the effects of ageing? These naturally occurring compounds protect the body from excess free radicals, sweeping them up before they can cause damage. And the best way to lay an antioxidant-rich foundation that's inhospitable to toxins and free radicals is through a combination of whole foods. They're full of fibre, minerals and vitamins and loaded with healing antioxidants. Blueberries, raspberries and blackberries are rich in proanthocyanidins, antioxidants that can help prevent cancer and heart disease. 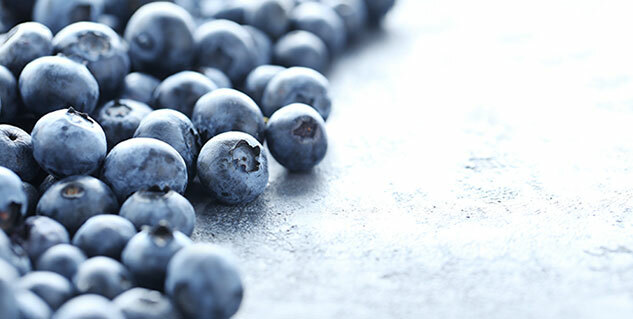 Blueberries also appear to delay the onset of age-related loss of cognitive function. Broccoli and other cruciferous vegetables like cabbage, cauliflower and Brussels sprouts, can help prevent cancer and ward off heart disease. Cruciferous vegetables contain a compound called indole-3-carbinol that reduces the risk of breast cancer and other estrogen-sensitive cancers, like cancer of the ovaries and cervix. They can ward off certain kinds of cancer, prevent macular degeneration and cataracts. and help maintain mental function. Tomatoes contain lycopene, a relatively rare member of the carotenoid family. Lycopene can help prevent lung, colon and breast cancers. Tomatoes also contain the antioxidant glutathione, which helps boost immune function. A little red wine can keep your heart beating longer because of resveratrol and quercetin found in red grapes. 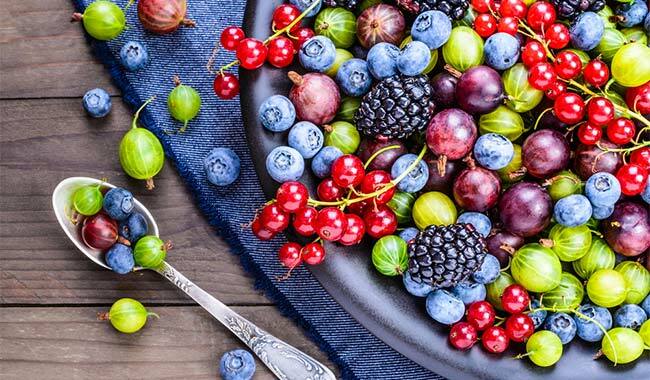 These potent antioxidants boost heart health by acting as free-radical scavengers, reducing platelet aggregation and helping blood vessels remain open and flexible. Resveratrol can also protect against cancer and reduce the risk of gastric ulcers and stroke. Coffee! Ever thought that something that tastes so good and makes you feel even better can actually be good for your health. Coffee is full of disease fighting antioxidants and is chock full of them too. Coffee has been shown to lower risks for diseases such as type-2 diabetes, liver diseases, Alzheimer’s and much more. Some scientists have even agreed that coffee is a better source of antioxidants than any of the fruits or vegetables out there. Another reason to enjoy a cup of your favorite beverage in the morning! Blueberries are the yummiest and most versatile of the superfoods out there. These miracle fruits not only protect your body from cell damage, they also contain active components which studies have shown to protect from cancer and heart diseases. Sprinkle them on your pancakes and waffles, make a smoothie, add them to muffins for kids or just snack on them. Eating healthy can be a treat too! Garlic is packed with antioxidants that can help fend off cancer, heart disease and the effects of aging. The sulphur compounds that give garlic its pungent odour are thought to be responsible for its healing benefits. Garlic keeps the heart healthy by lowering cholesterol levels, reducing blood pressure, fighting free radicals and keeping blood from clotting. Spinach Lutein(an antioxidant found in spinach) is the main pigment in the macula–the region of maximum visual sensitivity–it can help protect your vision. People who eat spinach are less likely to develop cataracts and macular degeneration. Lutein appears to work by shielding the retina from sun damage and fighting free radicals that can harm the eyes. Tea has been shown to significantly reduce the risk of cancer, heart disease, stroke and other diseases. Both green tea and black tea are beneficial. The catechins in green tea are oxidized in the manufacturing process of black tea, forming free-radical fighting theaflavins. Carrots are loaded with a potent antioxidant called beta-carotene, a member of the healing family of carotenoids. Also found in beets, sweet potatoes and other yellow-orange vegetables, beta-carotene provides protection against: cancer, heart disease, and the progression of arthritis by as much as 70 per cent. Soy can help prevent cancer, lower cholesterol, ward off osteoporosis and lessen the effects of menopause. Most of the health benefits of soy have been attributed to its content of Genistein and other isoflavones, which resemble natural estrogens in the body. Genistein can help prevent breast, colon and prostate cancers. Soy can reduce both overall cholesterol levels. Soy can also prevent osteoporosis. Whole Grains Vitamin E in grains is a potent antioxidant that plays a role in preventing cancer. It can boost immunity, slow the progression of Alzheimer's disease, treat arthritis, prevent sunburn and treat male infertility. Grains are rich in phytic acid, known as IP-6, a potent antioxidant that can help protect against breast, colon and liver cancers.